Did you know there’s a whole new way to use WordPress? The new Gutenberg editor has landed and it’s here to make life easier for experienced and novice WordPress users alike. This long-awaited new visual editor is aptly named after Johannes Gutenberg, who invented the first printing press with movable type over 500 years ago. Like Gutenberg’s press, the new page editor’s sole purpose is to make writing and visual editing quicker and easier, giving users greater freedom while they work and creating a ‘distraction-free’ writing experience. Though still in beta phase, the WordPress Gutenberg plugin is already making waves among the platform’s users. With this in mind, we couldn’t help but dive in and see what it’s all about for ourselves (and for you). Everything from headings and paragraphs to images, blockquotes and lists will all have their own blocks, which you can arrange and combine to create your ideal layout. This build-your-own approach means you can create polished, engaging posts without needing much technical knowledge, giving you the freedom to concentrate purely on your content without using custom code. The new blocks make creating rich and varied content much easier than it was before. Some of the most exciting new block options include the Table Block, which makes creating simple tables a breeze, and the Text Column Block, which allows you to add responsive text columns which previously required a third-party plugin to create. Other highly useful block features include live HTML blocks and Recent Blocks. The LIVE HTML block allows you to insert code and see a preview of the finished effect right next to it, which eliminates the need for switching back and forth between the visual and text editors. And the Recent Blocks feature has also been added to help you quickly access your favourite blocks, which is a useful, time-saving feature considering how many block options there are to choose from. There is a myth that Gutenberg is here to completely replace TinyMCE – the current WYSIWYG editor. 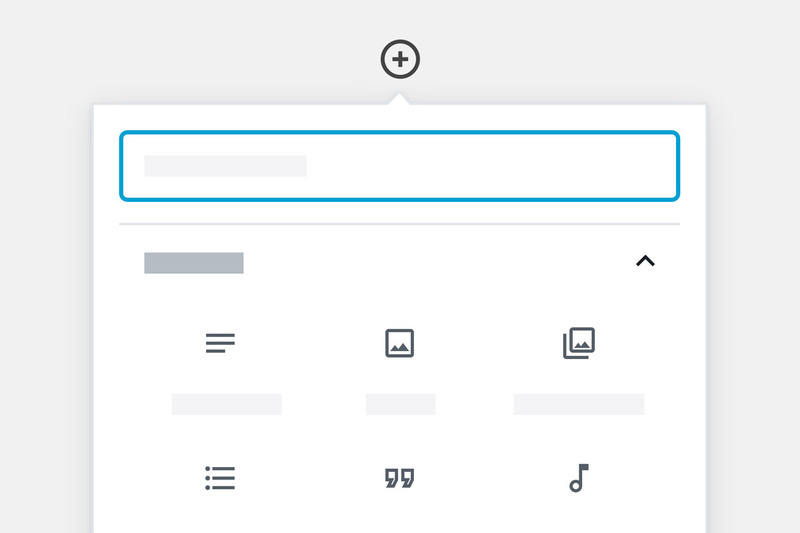 Indeed, once you launch Gutenberg you will notice that the familiar TinyMCE toolbar we’ve all been so used to using has now disappeared. It has been replaced with a simple drop-down menu under the ‘Insert’ button, with which you can add headings, images, galleries and more. But, while it may seem that TinyMCE has therefore been binned, it is in fact still working in the background. TinyMCE is the core editing engine that powers the all-important editable component that, in turn, powers most of the blocks. The Classic Text block also retains much of the original TinyMCE editing features, and all customisations and plugins that previously worked with TinyMCE will continue to work with the Classic Text block. What About Themes and Meta Box? Don’t panic; all WordPress themes are compatible with Gutenberg by default. There may be some themes that require one or two small style adjustments in order to continue working as they used to, but on the whole you shouldn’t see too much disruption here. Having said this, it couldn’t hurt to use a theme that has been specifically designed with Gutenberg in mind. Gutenberg-ready themes are already starting to be released, which can offer built-in styling for Gutenberg blocks and pre-made block templates for plugging your content straight in to. And Meta Box? Once again, there is no need to worry on this front. Meta Box and Advanced Custom Fields plugins will still work with Gutenberg. As of May 2018 Meta Box and all its extensions was made fully compatible with Gutenberg, so there are no more bugs messing with your custom fields. Gutenberg will not become an official part of the WordPress core editor until the next major update release; WordPress 5.0. This release is due in September 2018 – any time now – so there’s not long to wait. If you can’t wait to get stuck in and start playing around with the new functions, however, then you can still download Gutenberg as a plugin, which is currently still in beta form. You can also test out Gutenberg without installing a thing by using this limited front-end demo by Frontenberg. Is Gutenberg an Enforced Change? Not exactly. You will be able to upgrade to WordPress 5.0 and still keep the familiar editor experience if you so wish. The Classic Editor plugin is already available in the plugin directory and will return your page editor interface to the classic view. It all looks very exciting, doesn’t it? Here at Design By Day we’re already embracing Gutenberg and its many features as part of our web design and development services. Have you tried it yet? Let us know what you think in the comments below.